How does Tennessee Law define bankruptcy? Federal legislation protects your right to file bankruptcy. If you’re overwhelmed by debt, bankruptcy can provide an economic rebirth. Debt collectors are forced to stand down. However, they are free to resume collection of debts existing afterwards. Why should I consider bankruptcy? Debts are “discharged” when bankruptcy occurs. Mortgages and property payments aren’t erased, but you can halt foreclosure of your house in order to get on track with payments. Creditors can’t harass you to retrieve debts. Furthermore, bankruptcy protects from any collectors accused of fraud, or sneaking more money than you owed. Cars and property are fair game for repossession if you have outstanding debts – but bankruptcy can eliminate any need to worry about losing either one. How do I access copies of bankruptcy files? Federal bankruptcy filings qualify as accessible via Public Access to Court Electronic Records, or PACER. Appellate and district court documents are also provided through this service. Is there a limit to how frequently I can file for bankruptcy? If you have a Chapter 7 bankruptcy discharge from the past eight years or a Chapter 13 discharge from the past six years. There are also restrictions if you have a Chapter 13 discharge from the past two years, or a discharge from a Chapter 7 suit from the past four years. In some circumstances, past bankruptcy cases in which you did not get a discharge can be overlooked and no waiting period enforced. Is there anything that bankruptcy does not do? Remove particular rights of secure creditors. These collectors use property assets as insurance for loans (mortgages, or automobile loans are examples). Collateral cannot be returned, unless debts are resolved. What are the different kinds of bankruptcy I can file under? Chapter 7 bankruptcy is called “liquidation,” or “straight” bankruptcy, and requires debtors to use property as payment to creditors when “exemption” limits are exceeded. Bankruptcy classified as Chapter 11 is also called “reorganization.” This applies to business associations, or individuals with significant debts. “Debt adjustment” is another name for Chapter 13 bankruptcy – this calls for debtors to draft plans for payment based on present earnings. The most common forms of bankruptcy are Chapters 7 and 13, which apply to both individuals and wedded couples. When should I consider Straight Bankruptcy (Chapter 7)? Straight bankruptcy accommodates individuals who wish to have their debts discharged in exchange for property that is NOT “exempt.” Tennessee law provides non-applicable property for the debtor in question. For debtors wishing to retain housing and property, straight bankruptcy isn’t usually best route. Most people only have exempt properties, anyway. 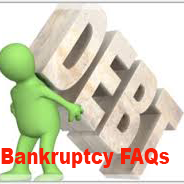 When is Debt Adjustment Bankruptcy, or Tennessee chapter 13 bankruptcy, appropriate to file? Are you a homeowner at risk of losing your home? Are you behind on paying debts, but financially capable of balancing your accounts if you have the time? Do you have the money to make monthly payments AND afford costs of living? What fees are associated with filing for bankruptcy? In Tennessee, straight bankruptcy is priced at just over three hundred dollars ($306.00) and adjustment costs slightly less ($281.00). This does not include any fees from your lawyer, but the court might let you pay for your bankruptcy filing in installments. How is property allocated during bankruptcy under Tennessee Law? A debtor keeps any “exempt” property. “Exemption” is determined by many factors, such as a property’s current worth (typically a lot less than original value), your equity in the property (FULL VALUE – EXISTING MORTAGE/LIEN EXPENSES = exemptions). If you’re behind on making payments to a debt collector related to these expenses, creditors can still take property to cover debts. Assuming your plan to adjust finances is approved by Tennessee courts, you can retain the entirety of your estates. Usually in Chapter 13 situations you’ll still be required to make payments on mortgage/liens just as though bankruptcy was not happening. Will I lose my house, or my car if I declare bankruptcy? Typically bankruptcy cases don’t involve a debtor losing his or her residence or vehicle – assuming property equity is exempt. If property isn’t completely exempt, Chapter 13 situations arise, in which a debtor’s retaining these assets is contingent on their ability to draft a payment schedule and successfully transfer regular installments of the non-exempt price to debt collectors. If they or other creditors can claim a “security interest” in your property, then you could be in trouble if those parties decide to confiscate and market your assets. Creditors with security interest can do this both while a case is pending, as well as afterwards. Talk to your attorney to find out what steps you should take to acquire minimal losses during bankruptcy – you can possibly even contest the credibility of the debt or hold other assets as collateral, like household merchandise. What can I own after filing for bankruptcy? What happens to debts after bankruptcy? Unpaid mortgages/liens in a given bankruptcy situation. In this case, bankruptcy voids a debtor’s requirement to pay added expenses as long as the property is given to a debt collector and successfully marketed. Is any court attendance required for bankruptcy cases? If your case has complications or is the subject of much dispute, then you will likely receive an order to attend a court hearing to resolve disputes. Otherwise, the only acquired attendance is for “meetings of creditors” involving trustees of bankruptcy as well as interested creditors. This is a hard question to answer, and impossible without knowing the particulars of a given case. If your credit is already looking subpar, if you’re running late on paying your bills, then you might want to think hard before filing for bankruptcy. Doing so can stay on your credit record for up to ten years. New credit might be available if bankruptcy gets you in a position to pay your current bills – but again, it’s a case specific consideration. Can I have a credit card after bankruptcy? Yes! Your creditor has the authority to approve your continued use of a credit card. If this doesn’t apply to your case, then you can use bank and debit cards for purchases typically made with your credit card. If all else fails, you can get a secured credit card, supported by your account. Will bankruptcy affect any utility services I might need? Filing for bankruptcy is not an acceptable reason for utility services, like electricity, to be cut off. The bad news here is that such a service, sometimes, is accompanied by an initial down payment to be paid off at a later date. And, of course, you still must pay future bills after resolving a bankruptcy case. Is discrimination ever an issue in Tennessee bankruptcy cases? No! There are explicit clauses in Tennessee law prohibiting any government bodies or separate business entities from discriminating against persons declaring bankruptcy, or those who have failed to return payment of dischargeable debts. Will filing for bankruptcy speed up the return of my driver’s license in Tennessee? Your motor vehicle license will only be returned if confiscation was exclusively based on your inability to finance court-enforced fines related to an accident. How are co-signers involved in the bankruptcy process? Individuals documented as cosigners on a debtor’s loan might be forced to provide payment for his or her debt. Can I file for bankruptcy alone even if I’m married? Yes, HOWEVER – this does not mean that your spouse gets out of joint debts. Filings alongside a spouse will double the granted exemptions to a bankruptcy case. Circumstances in which one spouse has debts that cannot be discharged might call for the other spouse’s filing, to protect his or her credit report. Will bill collectors stop harassing me after bankruptcy? Yes! “Automatic stay” halts actions of bill collectors. Will creditors keep bothering me after bankruptcy? Creditors are not allowed to continue calls or other actions related to debt collection starting as soon as they are made aware of the bankruptcy’s filing. Notification of creditors is advised to take place either immediately, via contact with you or your attorney. He or she can advise you over whether a creditor might be forced to pay fines for bothering you too much. If they don’t hear from your side, creditors receive notification from the court after a couple of weeks. Can bankruptcy get rid of student loans? Not usually! There are two exceptions, but even in these cases, qualifying might include a lengthy adversary proceeding. Will the student loan cause unnecessary difficulties for the debtor and his or her family? If so, this loan may be discharged. Is the student loan government insured? Is it funded in any capacity by a government institution? If none of these apply, then a loan may be discharged. If I haven’t lived in the same state for a while, at least 6 months, where should I file for bankruptcy? Tennessee requires a minimum ninety-one (91) days of state residence. If you cannot claim this for your present state, then you must wait for this period. Debtors claiming state residence for between 91 days and two (2) years can file in his or her current state, with exemptions abiding by rulings in the state in which you lived for the majority of the one hundred and eighty (180) day period prior to filing. Homes purchased within forty (40) months of filing can limit an exemption, and so can not residing in your present state during the 2-year waiting period. I’m in the process of a divorce – how will my ex-spouse filing for bankruptcy affect my case and me? Benefit would come to the debtor that compares irrationally to consequences affecting his or her spouse, ex-spouse, or children.